Brian Nixon provides some answers in “Tax Reform and table-setting,” in the recent ABA Journal. Sadly, the bottom line is, the U.S. tax reform recently passed may help community banks in a very indirect way — by making access to certain types of capital more readily available — the same rule changes, and other regulatory changes scheduled for 2018-2019, will help large institutions much more. But the direct impact, when combined with 2018-2019 changes in capital classification requirements by the Federal Reserve, will have a much stronger, and more direct, impact. Smaller banks “should fully appreciate” what the coming change essentially means: “as much, if not greater, [obstacles] for bank regulatory capital compliance.” More than 1,000 U.S. banks (heavily concentrated in small and community banks, “will struggle to maintain their capitalized status” when new standards for CECL (Current Expected Credit Loss) accounting are implemented. This entry was posted in bank regulation, community banks, Dodd-Frank, Federal Reserve and tagged ABA Banking Journal, banking capital requirements, community banks, Fed regulatory changes, tax reform, US tax reform on April 10, 2018 by admin. Jaylen Brown, recognized last year as the NBA’s top playoff rookie, commemorates Dr. Martin Luther King and Coretta Scott King on MLK Day. Bernice King, Dr. King’s daughter, has encouraged Americans to also recognize the contributions of Coretta Scott King, Dr. King’s wife. It’s an appropriate and needed reminder. Coretta Scott King was the founder of the King Center, and a co-architect of Dr. King’s legacy. Without her, it is likely there would be no Martin Luther King Day. Dr. King’s dream? Coretta Scott King shared it, helped develop it, and carried it forward. This entry was posted in Martin Luther King, NBA and tagged Bernice King, civil society, Coretta Scott King, Jaylen Brown, Martin Luther King, Martin Luther King Day, MLK Day, social justice on January 15, 2018 by admin. It’s been 49 years, and some months, since Martin Luther King encouraged blacks (and all Americans) to move more of their assets into black-owned and -operated community banks. Sadly, Dr. King’s cri de couer has not yet been fully realized — and, indeed, over the last generation, has been reversed. 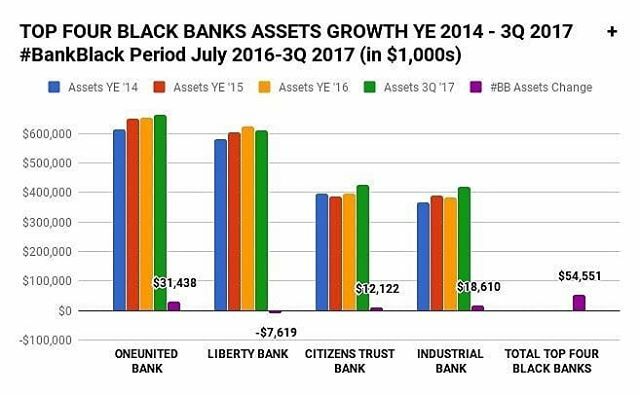 As we’ve noted elsewhere, minority banks across the board continue a steep decline; there are now only 20 black-owned banks in the country. Now, Bank Black USA proposes to do something about it. The organization has targeted an ambitious $500 million in increased assets for black banks by Martin Luther King Day, 2018. As we’ve noted elsewhere, regulatory solutions seem to have failed both the minority banking and inter-related community banking sectors. Growth — and voluntary action like the program Bank Black USA is suggesting — may be the answer. This entry was posted in community banks, minority banking, minority-owned banks on October 28, 2017 by admin. Describing his presence at a recent banking conference, Mitchell spoke to a larger issue: The continued plight of minority-owned and -operated banks, and — arguably, related — the squeeze on community banks that began nearly a decade ago. This is paradoxical on many levels. For one, the United States, as most recognize, is rapidly becoming a “minority nation.” It’s estimated that whites will be less than 50 percent of the population in a little more than a decade — sometime early in the 2030s. 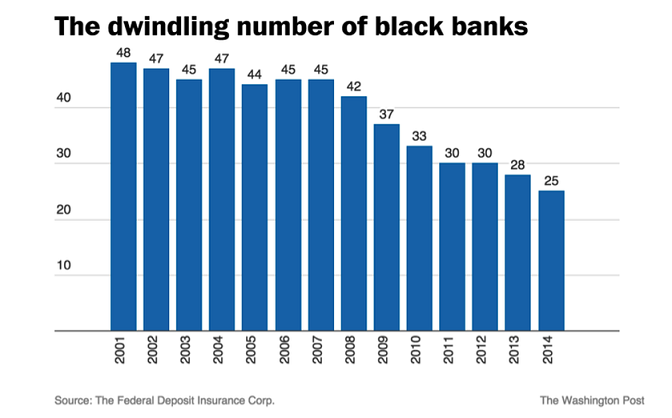 By contract, non-minority-owned banks hold 99 percent of all US banking assets. And the Federal Deposit Insurance Corporation recognizes just 157 minority-owned community banks in the U.S. — out of 5,870 total. That’s about 3 percent. Another paradox is this: the lack of diversity in banking and financial services continues despite long-standing effort to regulate greater minority participation — in both ownership and management — into existence. Would a strategy of attending to the growth and health of the community bank sector have softened this trend — or reverse it in the future? It’s difficult to say; the United States hasn’t tried it. This entry was posted in bank regulation, community banks, Dodd-Frank, Federal Reserve and tagged community banks and minority communities, Independent Banker, minority banks, the squeeze on community banks on September 8, 2017 by admin. Brown led all playoff rookies in scoring (points per 36 minutes), and was among the top 3 in rebounding and effective field goal percentage. His defense, sometimes matching up against NBA stars like LeBron James and Jimmy Butler, also drew praise. 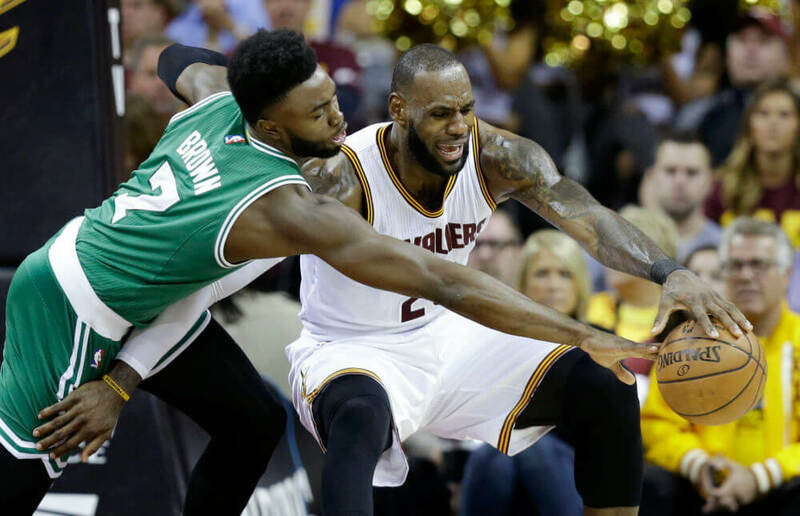 “I love [Spurs guard Dejounte] Murray but Jaylen Brown was on a whole another level,” one Spurs fan wrote. “For the playoffs [it] is definitely Jaylen Brown, kid stepped up big time — I’d have Pat [Warriors guard Patrick McCaw] behind him in 2nd though,” a Warriors fan added. Brown earned 47 percent of the votes in the final round, Thon Maker of the Milwaukee Bucks 32 percent, and Taurean Prince 20 percent in the final round. Patrick McCaw and Denounte Murray received less than 20 percent of the votes in early rounds and were not included in round 3. Votes by fans (50 percent) and media and former players (50 percent) were weighted as a percentage in the 3-round balloting, which began with five nominees on April 25 and continued through the final votes on three finalists on June 10. Approximately 50,000 fan votes were tabulated during the survey period. 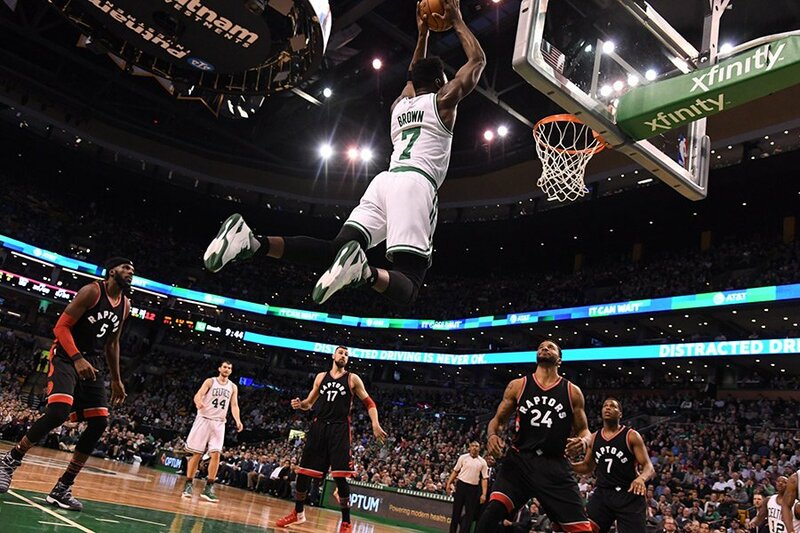 This entry was posted in Freedman's Award, NBA and tagged 2017 nba playoffs, Boston Celtics, Dos Equis, Freedman's Foundation Award, Jaylen Brown, lebron james, most interesting rookie in the playoffs, NBA rookie, playoff rookies, Stephen A. Smith on June 25, 2017 by admin. 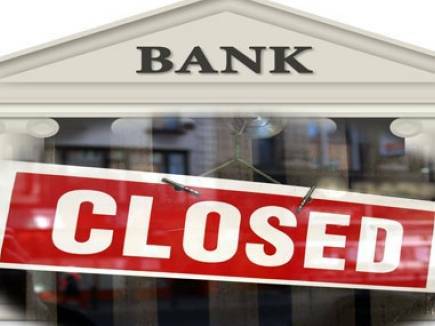 Texas bank regulator Charles Cooper discusses the plight of community banks and small-business lending in a cogent article for the Express-News, reprinted by permission. AS A STATE REGUATOR, [I've found] nothing is more evident than how community banks impact Main Street America — in Texas and across the country. They are deeply invested in the community where their customers live and work, helping local businesses and residents, and generating economic growth from the bottom up. Collectively these banks are responsible for almost half of all small business lending and three-quarters of all agricultural lending in the United States. At a time when the big banks offer cookie-cutter solutions and some are pulling back on their local presence, it is good to know that our citizens can rely on the local community bank that better understands their needs. But in recent years, community banks have been hampered by regulations defined at the federal level. After the U.S. financial crisis nearly a decade ago, federal policymakers focused on how regulation could head off future crises. And so, a large number of new regulations and procedures were adopted. 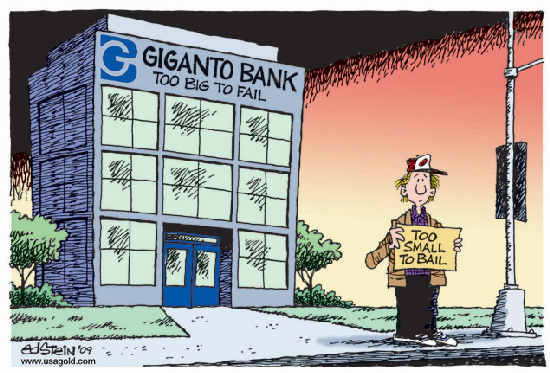 There was just one problem: Many new rules addressing too-big-to-fail institutions also applied to community banks that posed no systemic risk to taxpayers. 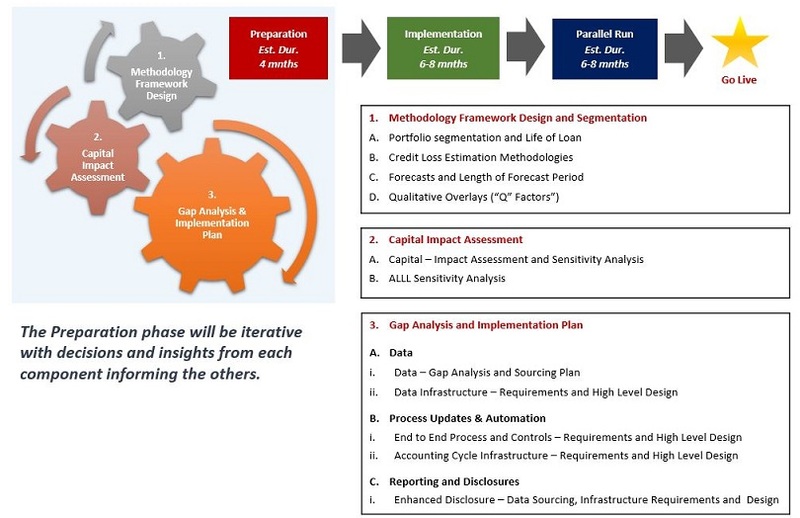 Due to this increased complexity, compliance costs have increased for community banks. A recent study by the St. Louis Federal Reserve Bank estimates community banks spend about $4.6 billion every year in regulatory compliance. These higher costs have been a contributing factor to a decline in the number of banks, in turn limiting access to credit and banking services for consumers. IN TEXEAS, WE HAVE gone from 644 banks in 2009 to 464 today. Fortunately, there is an opportunity to solve this problem. In the U.S. House of Representatives, the Financial Services Committee chairman is Texas’ own Jeb Hensarling, who has jump-started congressional efforts to right-size regulation for a post-crisis environment. As Texans, we should be proud one of our own is playing such a critical role at the federal level. In addition, similar reform efforts are underway in the Senate. Combined, these developments offer hope that regulatory reforms just might make their way into law. Perhaps the best place to start is where there is bipartisan support. In my recent visit to Washington, D.C., I met with members of the Texas delegation and others in Congress. The one unifying topic — regulatory right-sizing for community banks. WHAT COULD REFORM look like? The Conference of State Bank Supervisors, whose members regulate 78 percent of all U.S. banks, supports creating a common definition for a community bank, and then exempting all those that qualify from federal rules aimed at bigger and more complex banks. Such a definition — based on a combination of factors such as assets, local ownership and lending in the community — would enable legislators and regulators alike to create a regulatory regime tailored for community banks. This idea of a community bank definition, and the accompanying right-sized regulation, is not a novel one. The Federal Deposit Insurance Corp. uses a common definition to perform its community bank research. Governors at the Federal Reserve Board support applying different rules for big and small banks. In an executive order, President Donald Trump recently directed his administration to make sure that regulation is “effective, efficient and appropriately tailored” for financial institutions. When folks head in the same direction, you tend to get results. With the political winds in Washington favoring community banks, I am optimistic we can achieve common-sense regulation that permits community banks to do what they do best — serve their communities. Charles G. Cooper is commissioner of the Texas Department of Banking and chairman of the Conference of State Bank Supervisors. This entry was posted in bank regulation, community banks, Dodd Frank impact on small business, Federal Reserve, Freedmans and tagged banking reform, Charles G. Cooper, Federal Reserve reform, San Antonio Express-News on June 14, 2017 by admin. On Saturday at 2 p.m., “Tracing History with Emma Davis Hamilton” will take place in McElreath Hall, Member’s Room. Hamilton, past president of the Metro Atlanta chapter of the Afro-American Historical and Genealogical Society (AAHGS), will lead a detailed 90-minute session designed to help participants work with the important records of Freedman’s Savings Bank. This Washington, D.C., institution was created after the Civil War, to assist newly emancipated enslaved and African-American soldiers. Its records contain valuable genealogical information such as birthdate, birthplace, where raised, former owner, employer, occupation, residence, and relatives. The bank not only provided services for African Americans, but white citizens as well. Hamilton has 26 years’ experience as a genealogy researcher. 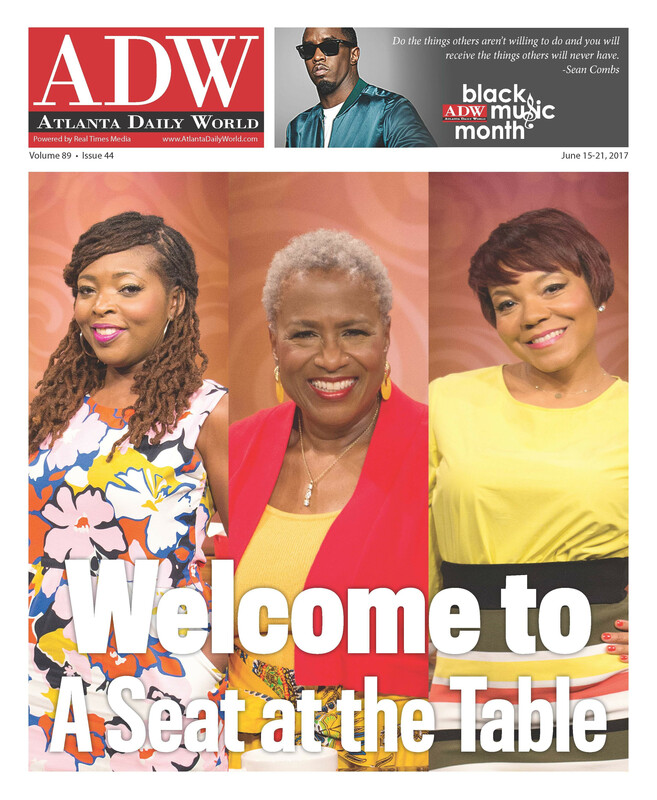 This entry was posted in Freedman's Bank, Freedman's records and tagged African-American history, Atlanta Daily World, Atlanta event, black history, Emma Davis Hamilton, Freedman's Bank research on June 12, 2017 by admin. Fan voting will begin soon at Reddit.com/r/nba, Strawpoll.com, Yahoo.com, and at other polling and social media sites. This entry was posted in Freedman's Award, Most Interesting Rookie Award, NBA and tagged Atlanta Hawks, Boston Celtics, Dejounte Murray, Dos Equis, Freedman's-Dos Equis Award, Jaylen Brown, Milwaukee Bucks, Patrick McCaw, professional basketball, San Antonio Spurs, Taurean Prince, Thon Maker on April 24, 2017 by admin. Last year, the District of Columbia paid Uncle Sam $37,000 per person in federal income, payroll and estate taxes. So says the Associated Press in its annual look at how much people from different states, on average, are paying. The next closest was Delaware, at $16,000 per person, followed by Minnesota, Massachusetts, and Connecticut. “It’s where the money is,” said Roberton Williams, a fellow at the Tax Policy Center. The Freedman’s Foundation is pleased to announce the first annual “Most Interesting Rookie in the (NBA) Playoffs” award…. 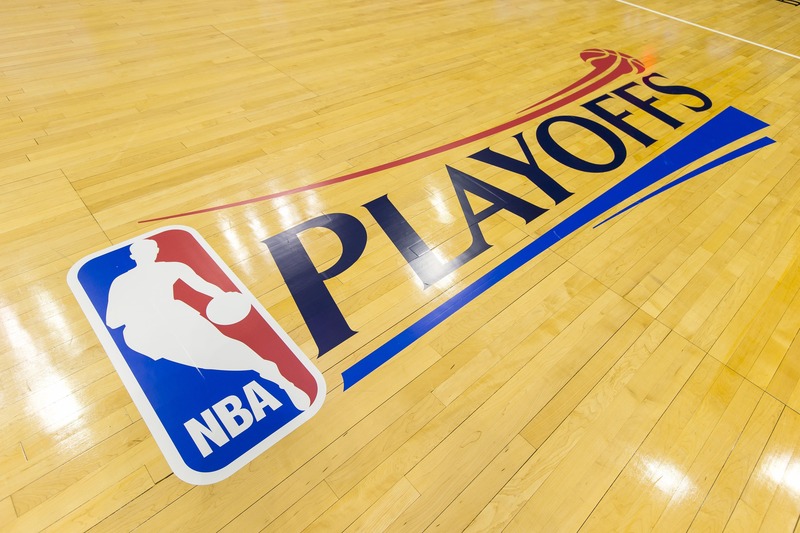 Nominees will be announced on approximately April 28, coinciding with the end of the first round of the NBA playoffs. Fan voting will take place beginning during the second round of the playoffs, and end not later than the end of the NBA Finals. Following the fan vote, a panel of former NBA players and former and current sports journalists will make their vote. The two votes will be combined on a percentage basis and a winner announced approximately June 25. “The award is designed to recognize outstanding rookie performance in the playoffs,” said FF chairperson Ronald Brown, “with a special focus on the player that shows intriguing promise for the future. This entry was posted in Freedman's Award, Freedman's Bank, Most Interesting Rookie Award, NBA and tagged Freedmans-Dos Equis Aware, NBA playoffs, top rookie on April 10, 2017 by admin.